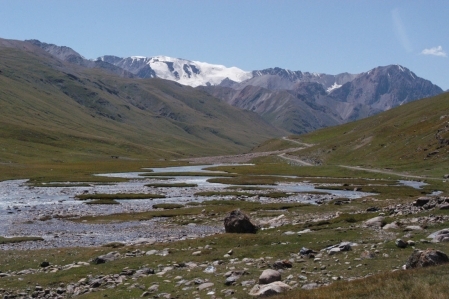 The Tian Shan Mountains (Sky Mountains) extends over the territories of China, Kazakhstan, Kyrgyzstan, Uzbekistan and Tajikistan. 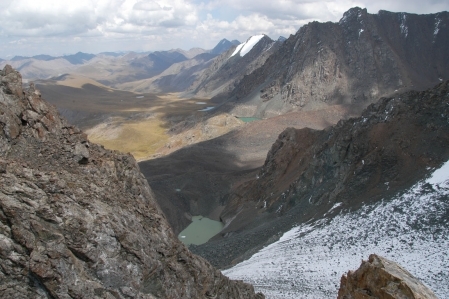 The highest mountain in Kyrgyzstan, the Pobeda Peak 7,439 m and a whole series of six and seven thousand meter peaks are in the Tian Shan Mountains. 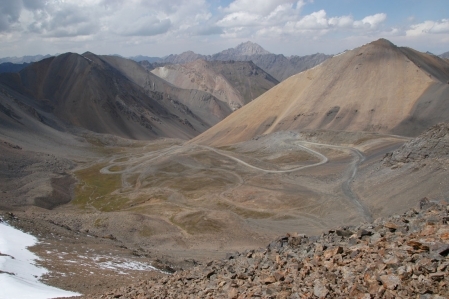 Also found in this region, some of the largest non-polar glacier. 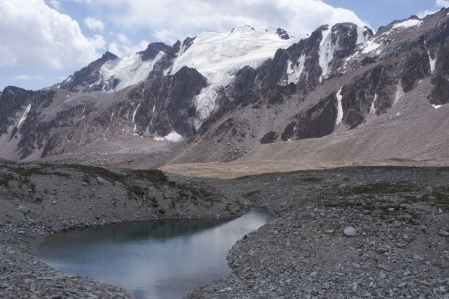 The high peaks of the Tian Shan mountain range are covered throughout the year with eternal snow and ice, there is also one of the biggest glacier areas of China. The local sprung meltwater flows not a ocean of earth. 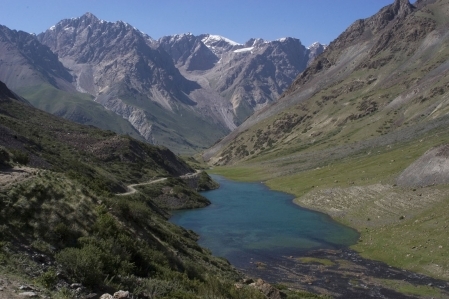 The Tian Shan Mountains extend into Central Asia for more than 2,450 km from west to east. 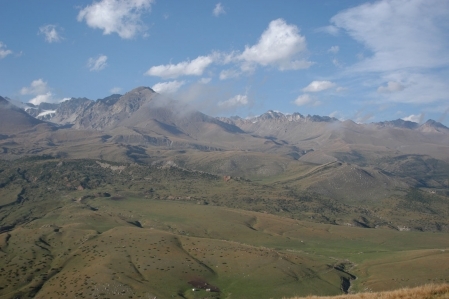 The foothills of the western chains ranging up to Tashkent the capital of Uzbekistan. 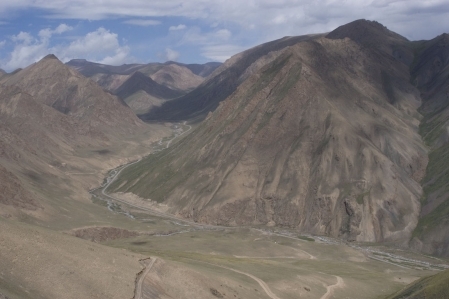 In the East its extensions reach the edge of the Gobi Desert in China. 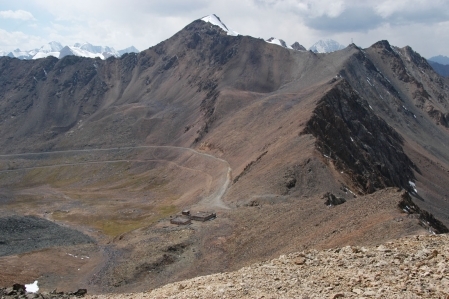 In the north of China is the Taklamakan desert which occupies a large part of the region. 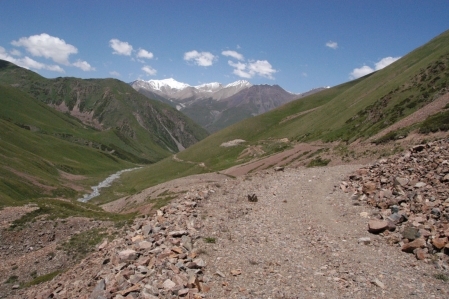 On the north side of the desert, the Tian-Shan Mountains providing the forms a natural border with Kyrgyzstan. 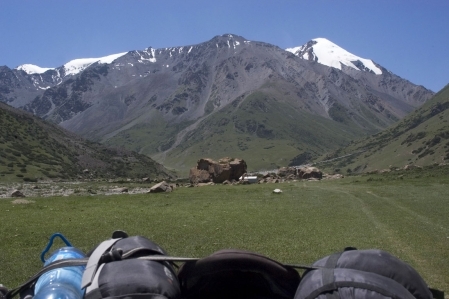 The highest peaks Pobeda Peak 7,439 m and Khan Tengri 6,995 m are located in the central Tian Shan Mountains, which belongs mainly to the Republic of Kyrgyzstan.